T / Th / F at 5 a.m.
Special "Offer" - FREE week of class for the week of April 28th - May 2nd. "After gaining 49 pounds while pregnant with my son, my best friend sent me a link to the Texas Fit Chicks website and a note that said simply, "OK, I think we should do this!" Our babies were 9 months old (mine) and 4 months old (hers), and we swallowed our pride and walked into that 5 a.m. class in Frisco with Aimee Storm as our trainer. That first class, we could barely hold a 10 second plank! As a former athlete, cheerleader, dancer, and exercise enthusiast, this was quite humbling, to say the least. But the motivation, encouragement, and contagious energy of the other women in our class kept us going (AND coming back to class!). Before I knew it, I'd lost 8 pounds and 10 inches in my first 5 week session! A year into my experience as a Texas Fit Chick, I was down 65 pounds, and I felt called to pay it forward to help other women like me: those who wanted to get back in shape, get in better shape, get in shape for the first time, or just take back ownership of their own body and life. 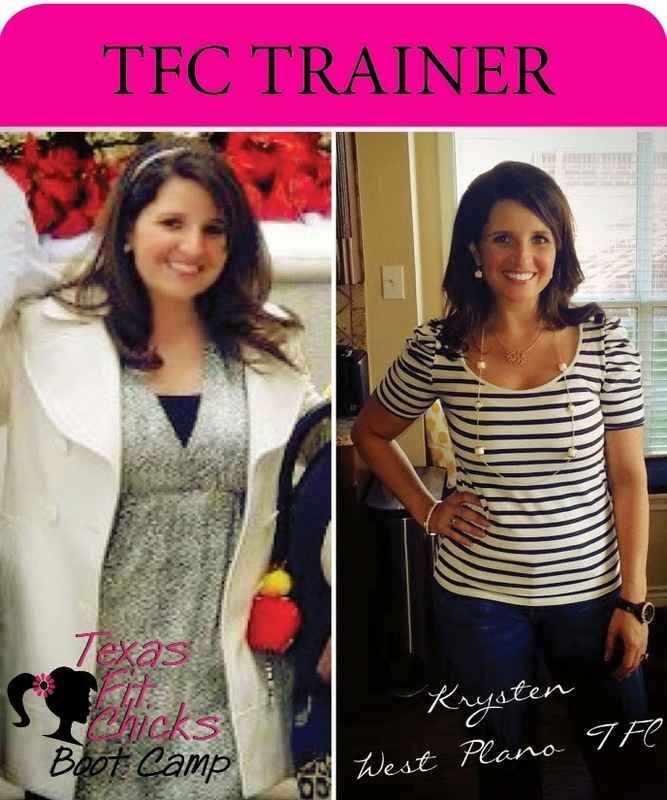 So I became a trainer for this amazing organization, and I could not be more proud to be a part of the TFC Family! These women (both chicks and trainers) never cease to amaze me: they are humble, generous, kind, enthusiastic, loving, energetic, and overall just INCREDIBLE women. I hope you will decide to join our little family, too... we would love to have you and help you! Because really: if you do not take care of your body, where are you going to LIVE?"